With this add-on you can add / show your C.V. and skills onto your website. Ability to show / upload / download your Curriculum Vitae. 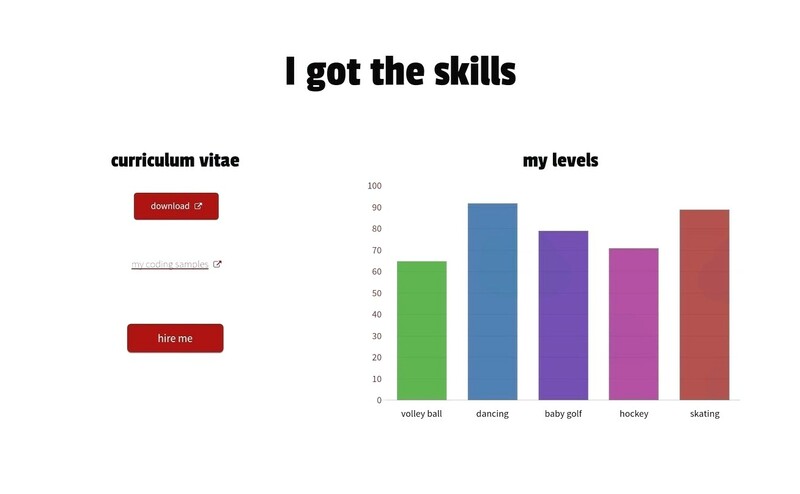 Animated Charts for you to show your different skills achievements / levels.